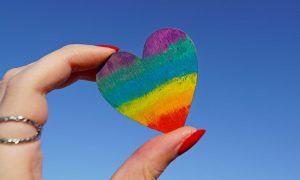 One of the groups that often doesn’t get enough or appropriate attention with regard to substance abuse and mental health is the LGBTQI+ community. Discrimination, abuse, rejection from their families and homes, societal ostracism, stress, depression, and anxiety are all contributing factors that the queer community has ON TOP OF the many of the same factors the cisgendered heterosexual community face. This often leads to negative coping strategies such as drug and alcohol abuse. On average LGBTQI+ substance abuse starts earlier and affects a larger percent of the community. Here are a few numbers, and although various studies will show different specifics, the trend is hard to ignore. Drug and alcohol abuse affects twice as many queer youth than their cishet classmates. Depression is also more extreme with some 30 percent of gay and trans youth considered or attempting suicide. While only 9 percent of the general population abuse substances, it’s 20-30 percent among LGBTQI+ people, with 39.1 percent using illegal drugs while only 17.1 percent of cishet adults did. Transgender and gay people smoke tobacco 200 percent more than the cishet community. Awareness about this problem is one of the most important things we can do. The social stigma so many people face is extreme and bad coping strategies often evolve as a form of protection. Lack of access to healthcare and discriminating families and employers adds to the problem. But help is available. As with many problems, peer support is one of the most important forms of help available, especially adults in the queer community who can help youth find the strength to persevere. Therapy to address suicidal thoughts and depression can make a big difference. Positive peer pressure is also important: the LGBTQI+ people who can find ways to successfully live clean will serve as role models for other people looking for healthy solutions. If you are in the LGBTQI+ community and addicted to drugs or alcohol, please find the help that you need and deserve. There are drug and alcohol addiction and drug rehab in Fort Lauderdale and peer support groups available both online and face-to-face. Get started on your recovery today by calling 866.319.6126.